The SM50 sensor module provides ppb level ozone measurement in a flexible cost effective package. Each module is factory calibrated and ready to use with a multi-point calibration (NIST traceable). The SM50 is also the replacement sensor used inside the SM70 ozone monitor. SM50 OZL is typically in stock. SM50 OZU & OZG typical 2 week lead time. 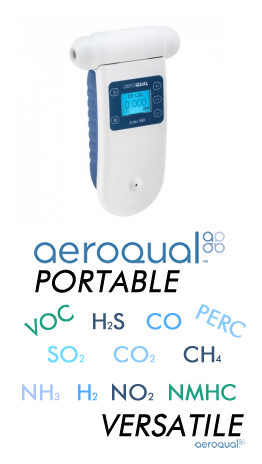 Aeroqual manufactures a multi-functional ozone sensor module designed for use by Original Equipment Manufacturers (OEMs) who wish to access our state of the art sensor technology and integrate it into their own equipment. 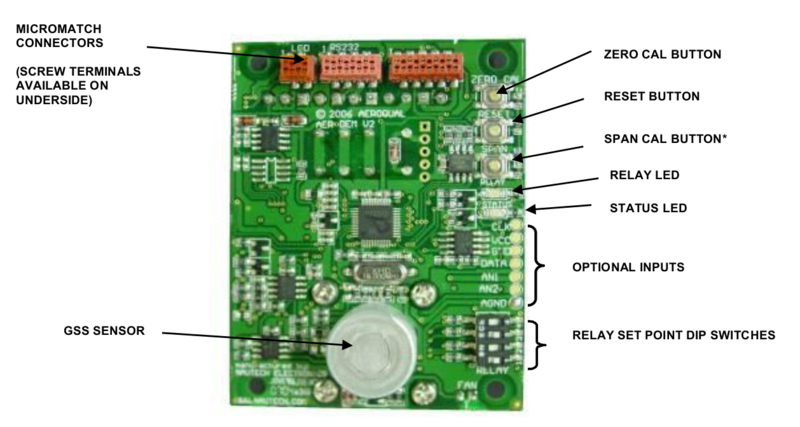 Outputs include analog voltage, relay and status indicators with optional RS232 or RS485. Standard inputs include dipswitch settings for the relay and calibration buttons. Optional inputs include two analog voltages and two x GPIO which can be used to connect a temp/RH sensor. Pre-loaded firmware gives access to proprietary algorithms developed by Aeroqual to optimize measurements and enhance data output. The firmware can be adjusted to trigger an alarm above or below a user selected set point, or to control output to stay within +/-10% of the set point. For selected partners we can customize the SM50 sensor module specifically to your requirements and can provide specialist design input on how to take the best possible measurements for any given application.